Hooded bath towels make fantastic gift ideas, for baby showers, birthdays, or any day! 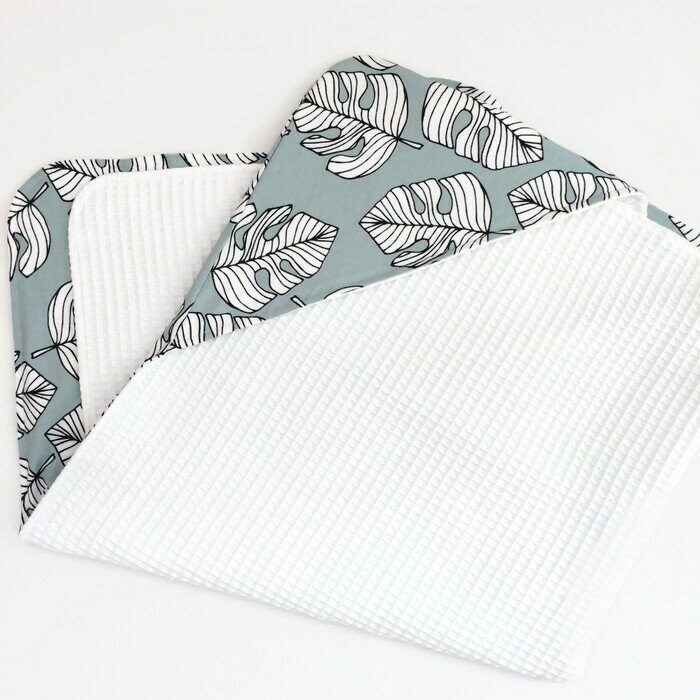 And this baby towel is cute for a special little girl or boy. 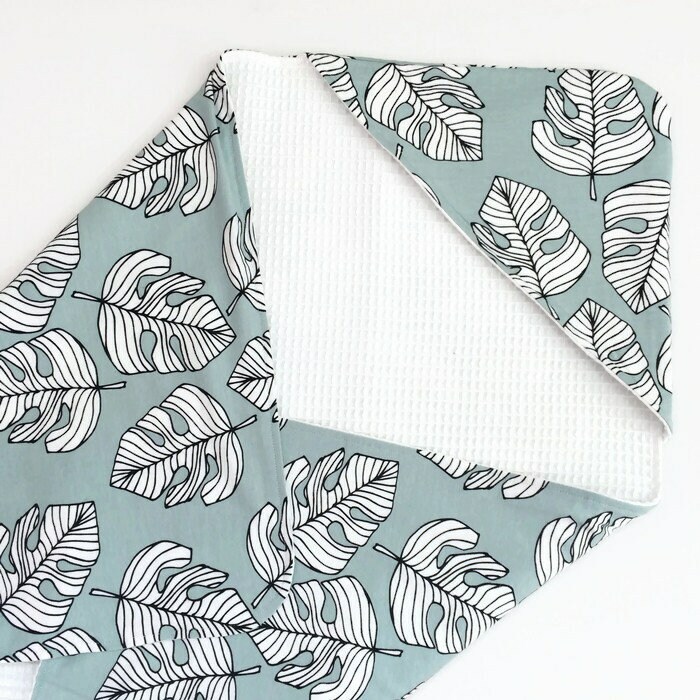 Made from soft, absorbent white waffle cotton on one side, and organic mint green jersey with monstera leaves, this towel is great for babies and toddlers. 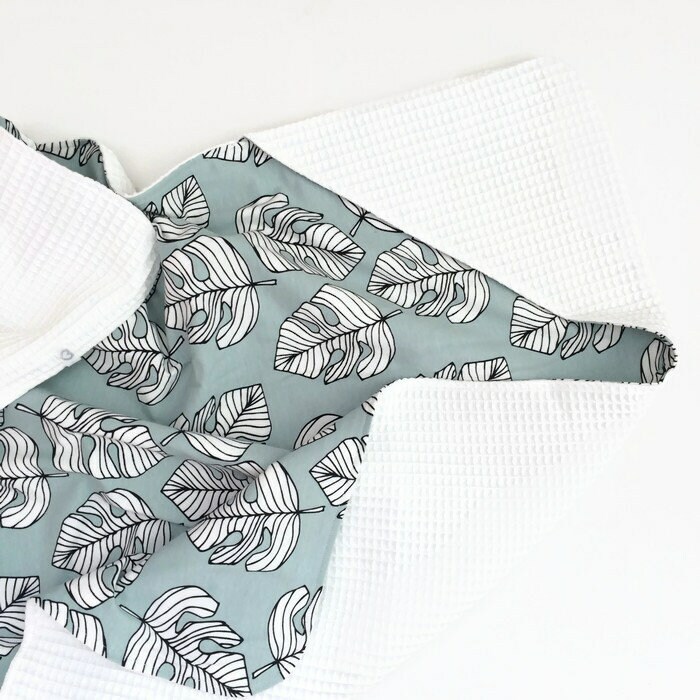 For this adorable hooded towel you can choose between the following sizes: 75 cm x 75 cm (30" x 30") and 100 cm x 100 cm (39" x 39").